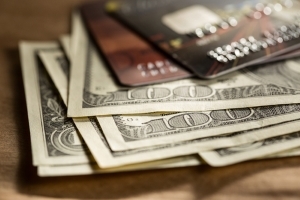 During this 2015 holiday season, there are three primary things to think about specific to credit card processing. By doing so, you will enjoy a better Christmas and a more profitable future. The first thing is that you need protection when making and accepting credit card payments. While the holiday season is a festive time, unfortunately it also the perfect opportunity for criminals to take advantage of unsuspecting consumers and merchants. Remember, a little bit of due diligence will go a long way. Online Shopping—Rather than using multiple credit cards for online purchases, choose just one and always choose reputable merchants that use top security software. Credit Card Processor—Instead of using your credit card on various websites, consider going through a third-party credit card processor to which your credit card is linked. Public Awareness—Be aware of your surroundings when shopping in person, always avoiding public wireless hotspots. As the merchant, take appropriate measures specific to credit card processing. Keep Customer Data Safe—Instead of using the SSL security standard, consider an extended validation secure socket layer or EVSSL, which is a more rigorous process for identity check and authentication. Payment Options—To gain your customer’s trust, offer different payment options such as the services of a credit card processor. In addition, think about the future of credit card use. Now that EMV cards are virtually in full force, if you have not already made the required transition, you need to do so immediately. By not being compliant, you put your company at risk. Simply put, any fraudulent transaction becomes your responsibility. In other words, if someone visits your store and makes a $3,000 purchase, which ultimately proves to be fraudulent, rather than having protection from the bank, you are liable for the money. Just one or two such transactions could devastate your business. During this holiday season, you have the opportunity to consider ways of growing your business. If you make the right choices, 2016 can be an incredible year respective to profits. Making positive changes to your current credit card processing system will help boost the number of customers and transactions. While all of this might seem overwhelming, you can always reach out for professional assistance through Chosen Payments, which offers solutions for each issue. As a prime example, if you need help in adopting the new EMV system, Chosen Payments offers stress-free and seamless help with transitioning. However, Chosen Payments provides much more in the way of solutions for credit card authorization, ACH transactions, social media marketing, software integration, and online reporting, among many other things. Combined, these products and services work on your behalf in reaching a higher level of success.